Easy Learn Italian is a group of native speaking teachers specialized in Italian language and culture. We are teachers of Italian for foreigners, but also with the experience of interdisciplinary teaching. 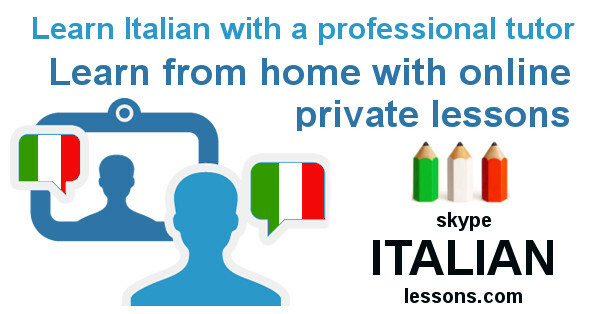 Easy Learn Italian offers individual lessons in Italian online (skype, gmail, messenger, and in general through video calling). Our site is aimed at all those who want to learn or improve their level of Italian. Our teaching techniques are different for students who are approaching for the first time the language and for those who want to improve their Italian. For this reason, our classes have different levels. some for the simple pleasure of learning a new language, some for reasons of work, and yet others for reasons of tourism, or who want to learn about specific topics of interest. For this reason some of our teachers, in addition to having a background in classical languages, have cultural skills ranging from literature, history, art, cinema, to politics and economy. Studying and conversing on topics that interest you, will help greatly to learn a new language. For this reason, with Easy Learn Italian you have a choice between different courses in Italian and about Italy. In this way you will be able to study, through the medium of Italian, topics which are of particular interest to you.